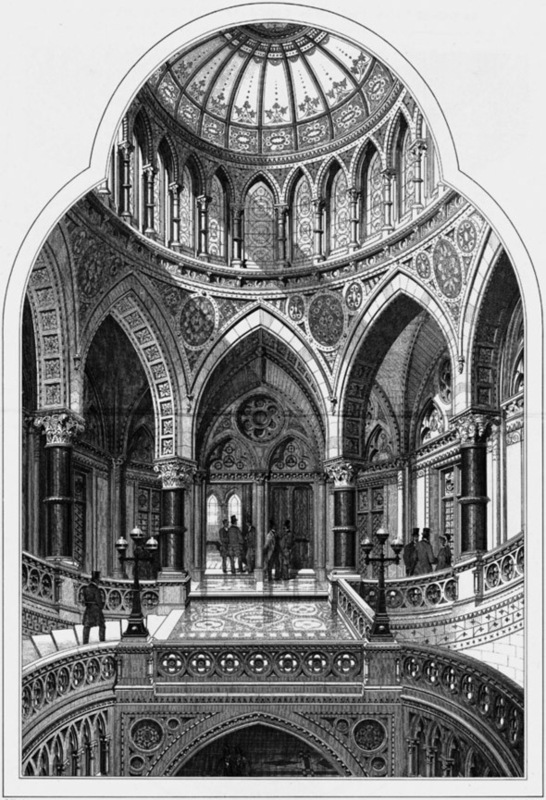 The building was designed by Lockwood and Mawson, and opened in 1873. 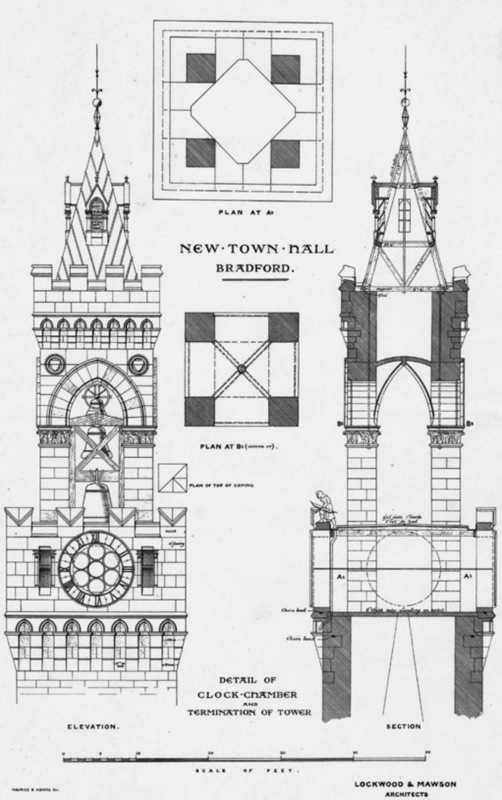 Previously, from 1847 to 1872 the town hall was in the Fire Station House in Swain Street. 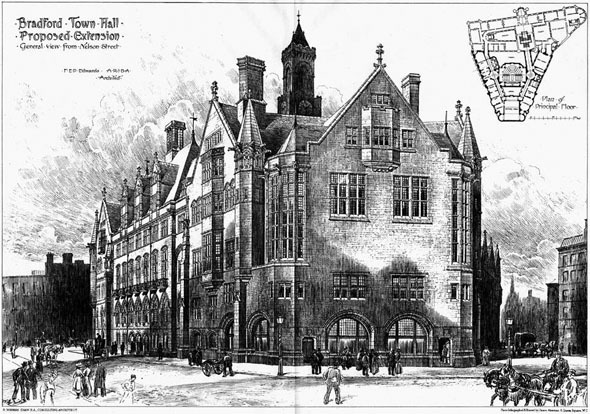 In 1869 a new triangular site was purchased, and a competition held for a design to rival the town halls of Leeds and Halifax. The local firm of Lockwood and Mawson was chosen over the other 31 entries. 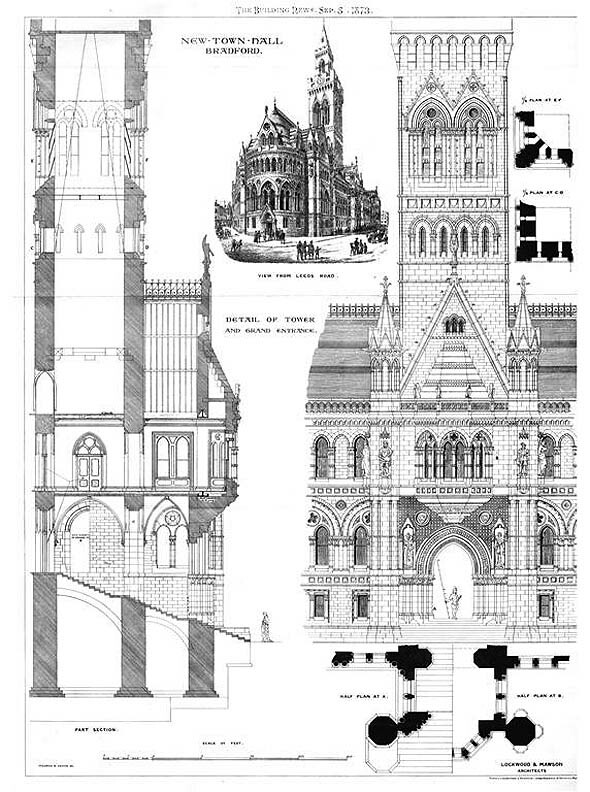 It took three years to build at a cost of £100,000, and was opened on 9 September 1873. It was first extended in 1909, to a design by architect F.E.P. 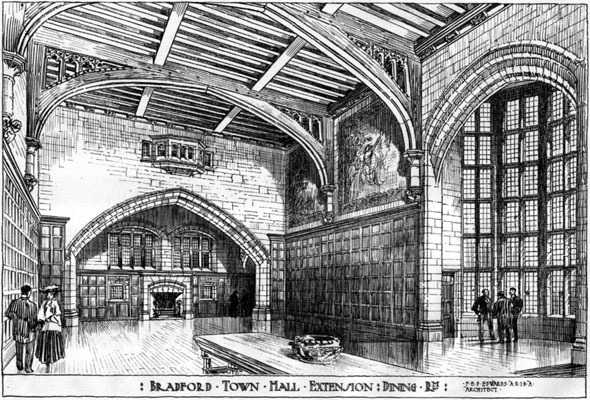 Edwards (designed published in 1906 in The Builder), with another council chamber, more committee rooms and a banqueting hall. It was extended again in 1914 with a new entrance and staircase in baroque marble by William Williamson and listed grade I on 14 June 1963. There are 35 statues of past monarchs in chronological order on the façade, with Victoria and Elizabeth I on either side of the main entrance. Unusually, the line of monarchs includes Oliver Cromwell.